Another day, another England match. 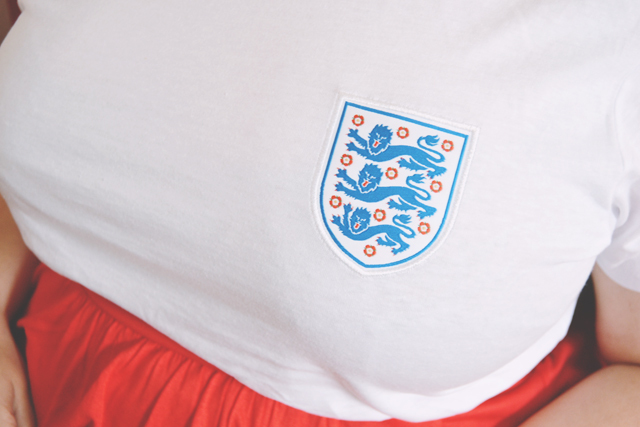 Tonight we're up against Uruguay and, as I did for Saturday's match, I'm wearing my England-themed clothes. I absolutely love this Primark top. Again it's from the men's department, but I love the simplicity of the badge on the chest. It has quite a retro feel about it, I think. It reminds me of the '98 World Cup. I've never worn a maxi skirt before, and I'm not too sure how I feel about it. I think it will take a bit of getting used to, and I'm not sure if I'll buy another. The huge plus of this skirt is that it has pockets. Hooray for skirts with pockets! All skirts and dresses should have them, in my opinion. It's also the perfect length for me; Even though I'm short, I have quite long legs so skirt length can be a bit of a tricky one. On Saturday, I forgot my plans to put an England World Cup song in every post, so I'll start up today with this highly underrated Ant and Dec classic. I agree, all skirts/dresses should have pockets. That outfit looks great - I've never really worm a maxi skirt either! I'm a real maxi skirt convert now! 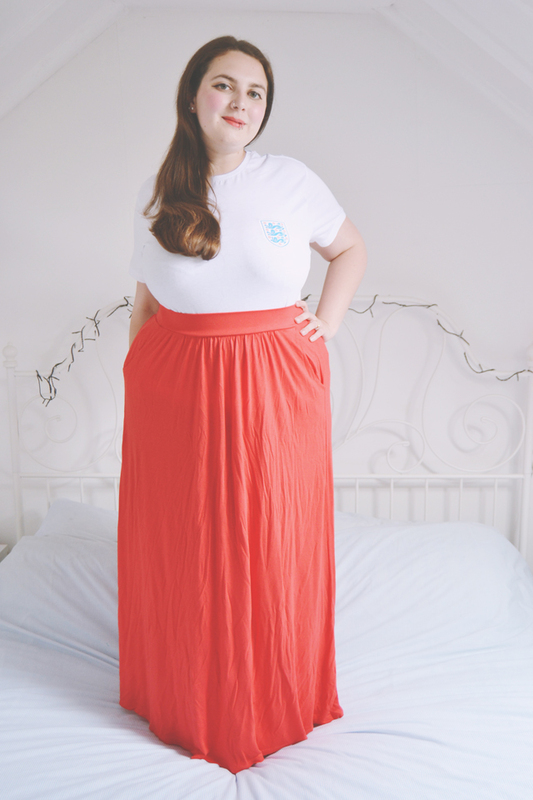 I think you look amazing in a maxi skirt! Every skirt should have a pocket! Thank you so much, Anny! Thank you so much! I do exactly the same thing haha!